I never thought that one of the most accomplished people in our times will be joining the tipster community but a fact is a fact, folks. Al Gore, the former Vice President of the United States, Nobel Prize laureate, and… a member of Apple’s board of directors, mind you, did indeed give us a hint about what’s coming from the Cupertino based behemoth next month. You noticed the iPhones part, right? We’ve already heard similar statement from JP Morgan as well. In addition to that, there has been a leak from AT&T’s own inventory, showing us an iPhone 4S. Add to this all the raging rumors about an iPhone 5, and things start to look quite clear to me. We will most likely see two different iPhone models announced by Apple’s CEO Tim Cook on October 4. What do you think? 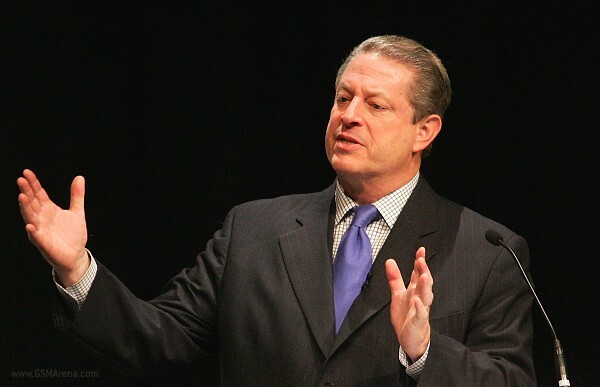 Did Al Gore mean a black and white versions of the same iPhone, or did he refer to two or more different models? Tell us in the comments section below.